An intrathecal pain pump implantation, or targeted drug delivery, is often considered as an option to relieve chronic pain. This therapy has been recommended as an advanced therapy for patients with cancer and non-cancer pain after systemic medicines have failed. Intrathecal pump therapy for cancer pain reduces pain by delivering medication directly to the area surrounding the spinal cord, thus requiring much smaller doses of medication for relief. A pump and catheter are surgically implanted beneath the skin by an IPI physician. The pump, implanted in the abdominal area, is connected to the catheter, which is tunneled under the skin to the specific site where the medication is needed. Intrathecal therapy involves the administration of analgesic and antispasmodic medications directly into the spinal fluid for control of pain and spasticity. When using intrathecal therapy in the management of pain, the physician often uses much lower doses of analgesics to improve pain control, thereby limiting the side effect burden associated with higher doses of systemic analgesics. Pain management with intrathecal therapy has been shown to improve pain control and side effects over systemic analgesics alone. However, significant side effects and complications can occur with implantation and management of these devices. In addition to routine complications that occur with any surgical procedure, the pumps, catheters, and drugs infused in the pumps all carry their own complications. The pain pump and catheter are implanted under the skin which is why surgical complications are a possibility. The side effects embrace infection, spinal fluid leak, and headache. You should avoid the implant procedure if you have an active infection at the time scheduled for implant. Once the infusion system is implanted, device complications may occur, which may require surgery to resolve. Drug overdose or underdose can result because of these complications and have serious and even life-threatening adverse effects. Further potential complications include the catheter or pump moving within the body or wearing through the skin. The catheter could leak, tear, kink, or become disconnected. Still feeling confused? Call us at 815-464-7212 and get Dr. Zaki’s expert opinion. 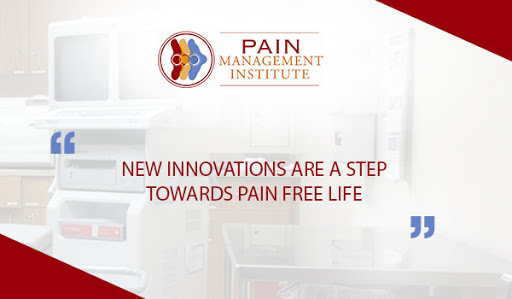 Dr. Zaki Anwar, MD an Anesthesiologist and Interventional pain management professional offers its patients a range of exceptionally personalized treatments and services to help facilitate the patients in struggling with severe pain. Hurry up! Before it’s too late!